Comprised of over 2500 glass negatives, photographic prints, film negatives, and lantern slides, the Marriott C. Morris Photograph Collection represents a significant portion of Philadelphia photographer Marriott Canby Morris’s (1863-1948) life’s work. 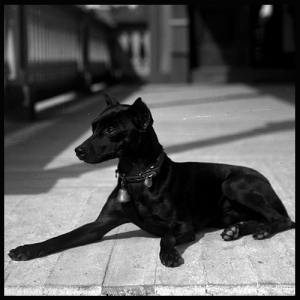 Morris began taking photos of his family, friends, and environment during his freshman year at Haverford College. He would continue to document the world around him, taking special care later in life to photograph his three children. 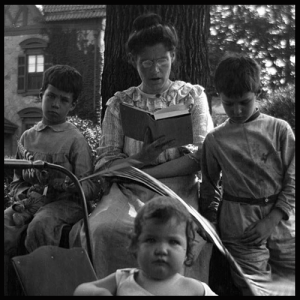 Morris’s photographs of his family and friends give insight into one of Philadelphia’s most prominent Quaker families. 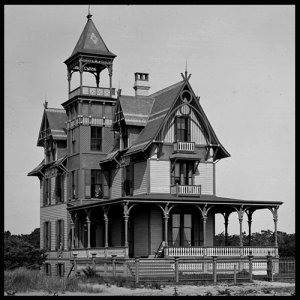 His photographs of the family’s frequent travels and well-appointed homes on the Jersey shore and in Germantown also give a glimpse of the upper middle class at the turn of the 20th century. However they also provide a record of Morris’s life and his desire to preserve the things he loved through his photographs. 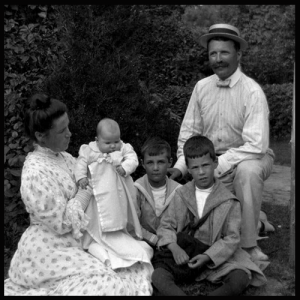 This desire is something that has been passed on to his grandchildren – David Marriott Morris, Eleanor Rhoads Morris Cox, and William Perot Morris – who donated both collections and financial support to preserve their grandfather’s work at the Library Company of Philadelphia and make his photographic legacy widely accessible. Through their generosity the entire collection is being cataloged, digitized, and preserved. You can explore the collection here and on the Library Company’s digital repository.